Knew what Channel YJ was. Eat at drive ins to listen to employees headsets. When you went out of town you carried "POLICE CALL" book to know what other cities freq was. Would listen to pages on the tv show "EMERGENCY' to see how many units were needed said KMG365 in youre sleep. A trunked system was a herd of elephants. An 8 channel scanner was all that was needed to listen to every agency in your city. To change freqs you had to buy a crystal. Scrambled was a cooked egg. Looked at police car antennas to see what band they are on. Could listen to cell phones. Went to Radio Shack to listen to police scanners before you bought one. Put a scanner and Cb antennas on your vehicle because you thought it was cool. Sent using Google Voice to Text. Please excuse any errors I could not see or catch. CRB Research Data Sheets waaaaay before Police Call. I had all 9-volumes at one time and yes, I did take them on vacation. I still am able to enjoy my Bearcat IV, mainly as the interop channels and statewides, but it still purs. My favorite feat was the wiring harness/adapter mess I put together to get a scanner to come through my car speakers. Now I just host an on online feed, use the Scanner Radio App and Bluetooth connectivity and boom, done! So much easier... what a time to be alive eh? Remembering the "fishing tackle box" full of crystals the Radio Shack guy behind the counter pulled out when you asked him what crystals they had in stock for your scanner. ...oh boy, those were the days! Channel YJ was the Company Station in Nassau. Ate in Mall food courts to use my OPTO Scout and ICOM R10 Reaction Tune. Carried my Police Call book & Latest issue of MONITORING TIMES everywhere. Watched ADAM 12 and Emergency for the Emergency Calls. Trunked systems were EASY to Listen to, Broadcast in the Clear with no Encryption. A AOR 1000 could hear Everything from DC - Daylight, even Cellphones and Cordless Phones. Could listen to Broadcast TV Audio with my Scanner on the BUS. Scrambled was just TONE Inversion and could be hacked. used my OPTO Scout & ICOM R10 Reaction Tune at Police Stations. went to Radio Shack to check the Latest Scanners and buy GREAT Scanner accessory's . Wore my AOR 1000 in a Shoulder Harness and a Lapel Mic because it looked cool. 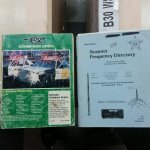 rk911 - when I bought my AOR 1000 scanner, the Local Scanner shop gave me a Computer Printout of ALL the Local Frequencies in my Area. Great Service. I also was a Monitoring Times subscriber and Every Year bought Police Call. and I Always hung out at Radio Shack after High School. gcopter1 - I wish we could listen to Broadcast TV audio again. When the whole town was on one frequency. When just 4 channels was enough. Air Force 1 - in the clear! letarotor - I would go to Radio Shack to check the Latest Scanners but I would buy Last Years TOP model at a Discount. These were my bibles. Couldn't throw them out. ...when you look for the slot to put the crystals in your SDS100. When you were buying crystals, you had to tell the guy whether you had a Regency or Bearcat because the IF was different. What an enjoyable thread to read. I'm 65 and started when I was about 12. It really was a lot more fun then. I can relate to every single thing said here. 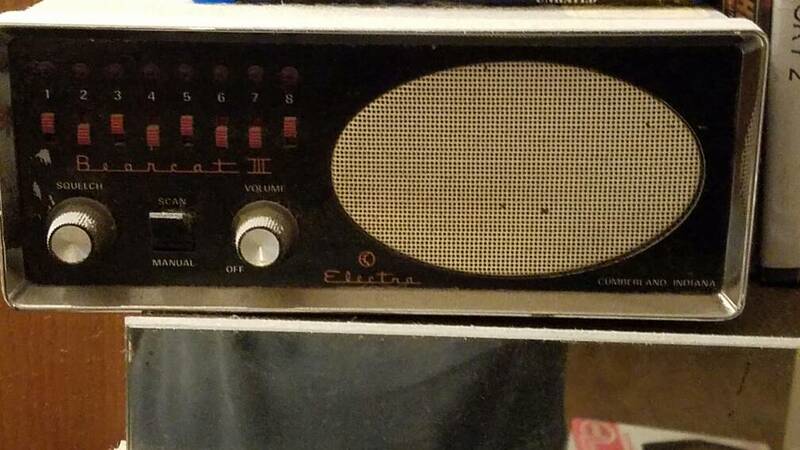 I started with the tunable radios and you could only listen to one thing at a time. The Electra Bearcat 101 programmable scanner in 1974 cost $399.99 I had my first professional job by then and bought one and put it in the car. It was a c only so I had the big metal converter on the floor behind my driver seat and just reached back and flipped that toggle switch. 16 channels, can you imagine? What else could you want? I loved that my local state highway patrol was on 45 megahertz simplex. I of course knew the patrol sectors. If a unit came in strong you knew they were right behind you or right up ahead but if the car came in scratchy from a distance you put the pedal to the metal. LOL. I was 12 when I started also, and actually about 6 or 7 years old when I was first used one of the tunable types of multiband radios, and now I'm 52. There were still a lot of low band VHF users throughout Texas and even up here in Fort Worth where I live not too terribly long ago. The sheriff's department was still using 37 MHz when I moved up here in 1992. I use to enjoy listening to the skip from up in the northeastern part of the country. The volunteer fire department I was with used the same 33.8 MHz frequency as a lot of Pennsylvania fire departments back in the 1980s. - Being able to enjoy a hobby for years with basic scanners that topped out at 512 Mhz, that used terms "channels" and "banks"
Love this thread, sitting here nodding my head like a bobble head on a dashboard. Memories.